TripleClicks.com: How To Properly Set Up A Family Budget! Are you ready to start planning for tomorrow? The Amazing Secret To Creating A Family Budget That Leads You Out Of Debt, Fills Your Savings Accounts, And Escorts You To Your Next Vacation! Listen. It hits families all over the world like a punch to the stomach. You donâ€™t notice it at first, but soon you find yourself living in a paycheck to paycheck world. What you make one month is gone before you have any time to add it to your savings accountâ€¦ Before you have time to fill your cupboards just one last time (while you wait for your next paycheck)â€¦ And definitely before you make any dent on your credit card balance. Families all over are enslaved by their debt racked up over the years. The burden is immense. You donâ€™t want anyone to know youâ€™re having a hard time making ends meet â€“ especially any kids that might be involved. Youâ€™re afraid to answer the phone. Itâ€™s tough to sleep the night through. Life in debt is now a never-ending cycle of anxiety and fear. How can you stop the seemingly endless cycle? How can you change the way you think about money? And discover financial discipline? Let me tell you, itâ€™s not too late with my tell-all guideâ€¦ How To Properly Set Up A Family Budget! Greetings Friend, If you have had financial problems in the past, you can feel relief when you start over with a (realistic) family budget. Have you ever heard, â€œThe first step is admitting thereâ€™s a problem?â€ You may or may not have a spending problem â€“ but you canâ€™t create a family budget without first being honest with yourself. And let me tell you it feels good. No matter what youâ€™re financial situation. Sitting down and figuring out exactly where you stand. How much money you owe. How much money you need to save up each month. How much money you get to spend each month. Just putting it all down on paper lets you leave the stress behind you. And in the next hour or so, Iâ€™m going to show you how to do exactly thatâ€¦ Give Me 50 Minutes And Iâ€™ll Have You On The Fast Track To A Family Budget That Erases Debt, Starts Piling Up The Savings, And Leaves You With Enough Left Over To Hit Disneyland With The Kids. The relief is almost instant when you create a family budget. But you know what the best part is? When sticking to your budget starts to pay off. Soon you will have a monthly surplus. Soon you will see your savings start to grow. Your debt will start to dwindle. And youâ€™ll notice youâ€™re still able to do the things you love! Within my 50 page guide, â€œHow To Set Up A Family Budget,â€ Iâ€™ll tell you exactly what you need to do to turn past money-management mistakes upside down. Youâ€™ll discover all my tricks, tips, and techniques for putting yourself on the fast track to financial security. You can download my report straight to your computer. And you can have it in just minutes from now. 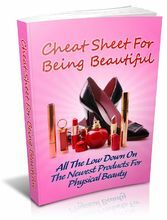 Here is just SOME of the information you will find inside: => The secret to why we can spend, spend, spend â€“ and never know where the money went. (Page 6) => How to sit down with bank statements, checking accounts, stock portfolioâ€™s and a list of assets to find out your true financial status. (Page 7) => 7 types of assets that have real value â€“ that you may not know to include as part of your self worth. (Page 8) => Why this guide is different than other â€œbudgetingâ€ books. (It has to do with our â€œhands-onâ€ approach.) (Page 8) => 5 main categories of spending that your budget will allow (donâ€™t worry, this should make you happy!) (Pages 9-10) => 9 defenses of budgeting to tell your partner if they need convincing. (Page 10) => 26 simple tricks to help you keep to your budget (without grinding your teeth). (Pages 11-12) => 12 reasons why starting a family budget will empower you like never before (and help you sleep at night). (Pages 13-14) => 3 most common reasons why budgets fail. Know what to look out for and youâ€™ll avoid these budget busters. (Pages 14-15) => What most financial advisors will tell you to keep motivated. Hint: It involves something good for you. (Page 16) => Why itâ€™s important to set one main goal. 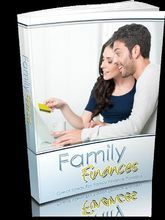 (Page 17) => 11 successful characteristics of a family budget that you may want to make sure your budget has (if you want to turn your life around for the better) (Page 17) => 5 step-by-step actions to take on your way from financial mess to pillar of (wealthy) success. (Page 18) => 13 common expenses that you may forget to add to your budget if youâ€™re not careful. (Pages 19-20) => 6 categories to separate your payment information into (to make sure there arenâ€™t any unexpected bills that could bust your budget) (Page 21) => What to do if your expenses total more than your income. (Pages 21-22) => How to handle your paycheck strategically to make sure your bills get paid. Hint: This trick is so good, you wonâ€™t notice how responsible you are being. (Page 23) => Why itâ€™s important to splurge every once in a while. (Page 23) => What does fiscal awareness mean? And why is it the first technique you should start applying. (Page 25) => The 17 rules to family budgeting. Print these out and post them on your refrigerator. (Pages 26-28) => 10 important processes creating a budget must provide for. (Page 30) => 11 secrets to budgeting found deep within the world wide web. (Pages 31-33) => 14 secret weapons for stopping the reach to your purse or wallet. Tried and tested, these are guaranteed to cut down your spending. (Pages 33-35) => 11 steps to changing your attitude towards money and turning yourself into a saver instead of a spender (with some fun exceptions). (Pages 37-38) => The secret to overcoming unforeseen obstacles. (Pages 39-40) => 10 reasons to stop spending now. (Or else it might be too late.) (Pages 41-42) => Why you must confront your debt now â€“ and how to do it painlessly. 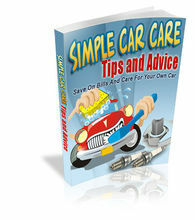 (Pages 43-44) => 12 steps for curbing your debt. (Page 44) => 11 dynamite ways to have fun with little to no money. You may have forgotten about these. (Page 45) => 25 final thoughts of wisdom on family budgeting to keep you moving forward in a positive (financially free) future. (Pages 46-50) And thereâ€™s MUCH more â€“ guaranteed! Before you have time to fill your cupboards just one last time (while you wait for your next paycheck)â€¦ And definitely before you make any dent on your credit card balance. 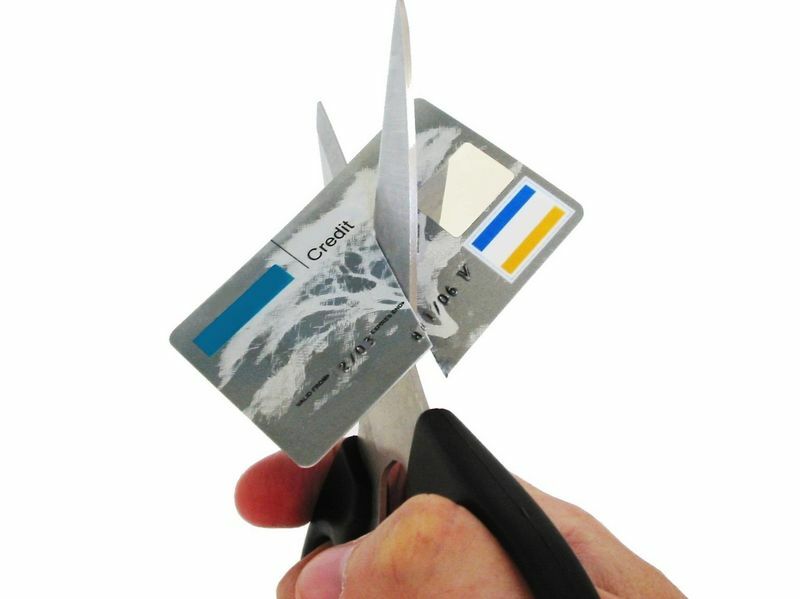 Families all over are enslaved by their debt racked up over the years. The burden is immense. You donâ€™t want anyone to know youâ€™re having a hard time making ends meet â€“ especially any kids that might be involved. Youâ€™re afraid to answer the phone. Itâ€™s tough to sleep the night through. Life in debt is now a never-ending cycle of anxiety and fear. Have you ever heard, â€œThe first step is admitting thereâ€™s a problem?â€ You may or may not have a spending problem â€“ but you canâ€™t create a family budget without first being honest with yourself. And let me tell you it feels good. No matter what youâ€™re financial situation. Sitting down and figuring out exactly where you stand. How much money you owe. How much money you need to save up each month. How much money you get to spend each month. Give Me 50 Minutes And Iâ€™ll Have You On The Fast Track To A Family Budget That Erases Debt, Starts Piling Up The Savings, And Leaves You With Enough Left Over To Hit Disneyland With The Kids. When sticking to your budget starts to pay off. Soon you will have a monthly surplus. Soon you will see your savings start to grow. Your debt will start to dwindle. And youâ€™ll notice youâ€™re still able to do the things you love! 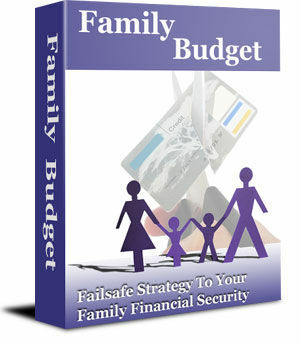 Within my 50 page guide, â€œHow To Set Up A Family Budget,â€ Iâ€™ll tell you exactly what you need to do to turn past money-management mistakes upside down. Youâ€™ll discover all my tricks, tips, and techniques for putting yourself on the fast track to financial security. And thereâ€™s MUCH more â€“ guaranteed!